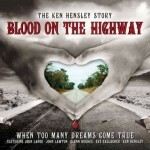 «Blood On The Highway» is a rock musical based on the autobiography of the same name, written by Ken Hensley. He began to work on a book titled «Blood On The Highway: When Too Many Dreams Come True» in 2004. The book was published in the summer of 2006, and the following year it was reissued in an expanded version. The album «Blood On The Highway» involved guest vocalists (Glenn Hughes, John Lawton, Jorn Lande and Eve Gallagher) and The Alicante Symphony Orchestra. Hensley re-used three tracks from his earlier albums — «There Comes a Time» («From Time To Time» (1994)), «You’ve Got It (The American Dream)» («Running Blind» (2002 )) and «The Last Dance» from the eponymous album (2003). «Blood On The Highway» was recorded at Sacramento Studios (Alicante, Spain) and released on CD and LP by Membran. Ken dedicated this album to the memory of David Byron and Gary Thain. «Blood On The Highway» was also released as Special Limited Edition, which, in addition to the CD, included the book «Blood On The Highway», a DVD video of a concert by Ken Hensley and Live Fire in Norway, plus merchandise (a T-shirt, Hensley’s signature guitar picks, etc.). Jorn Lande — vocals on “(This Is) Just The Beginning”, “We’re On Our Way”, “Blood On The Highway”, “You’ve Got It (The American Dream)” and “Okay (This House Is Down)”. John Lawton — vocals on “It Won’t Last”. Eve Gallagher — vocals on “Think Twice”. Glenn Hughes — vocals on “What You Gonna Do” and “The Last Dance (El Gitano Viejo)”. Antonio Molto — alto sax. Producers — Ken Hensley and Dani Saiz. 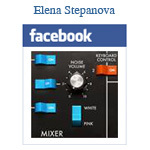 Mastering — Dani Saiz (Sacramento Studios). Strings arrangement — Matt Dela Pola.